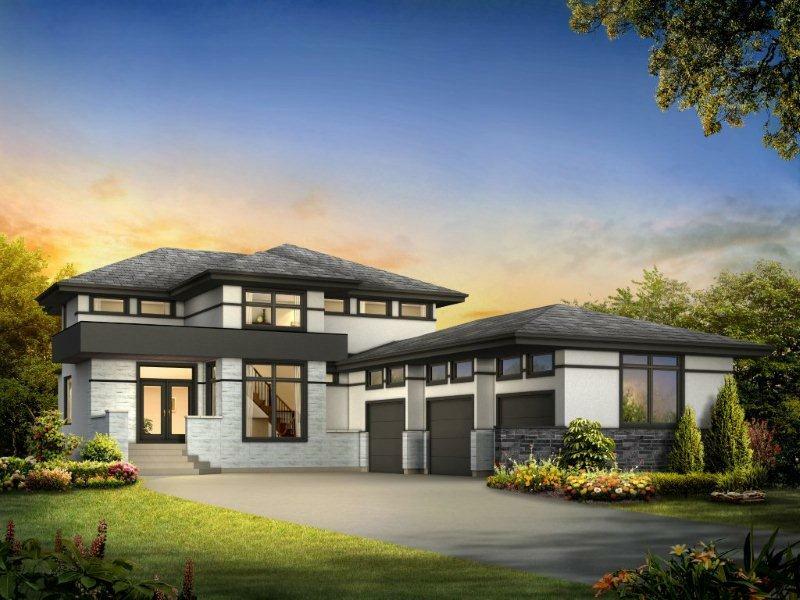 The Regal is a 2578-square-foot home with a three-bedroom and 2 1/2-bath layout. This luxury walkout home in South Pointe comes with a triple-car garage, private deck, and a front entrance with double-glass doors. Its main floor shines with a combination of tile and hardwood flooring, which leads to a free-standing glass staircase to the beautiful second storey. Square Footage: 2,578 sq. ft.